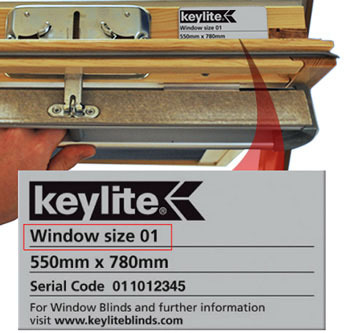 FAKRO and RoofLITE loft windows carry a unique identification platse that show the frame size or size code of your window. The location of the plate is shown in the diagrams at the bottom of this page. This table shows both the Nominal Size and the Fakro and RoofLite codes. If your identification plate does not display either the nominal frame size or the code, you can measure the size of the glass within your window. The ID card is located on the top of the window sash & can be viewed when the window is opened. 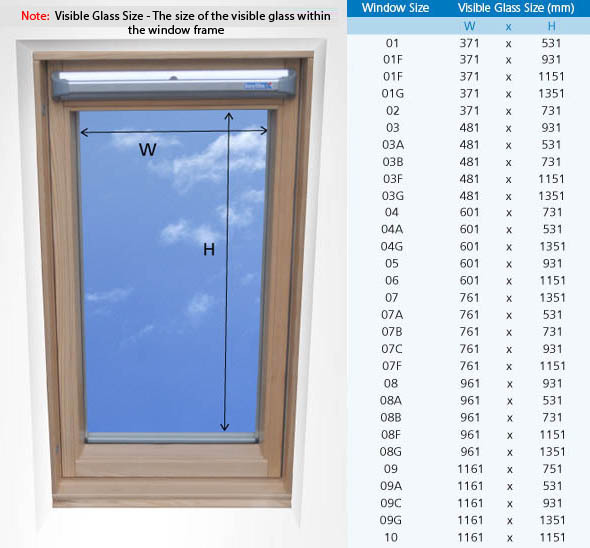 You can measure your window and check our size chart? If you can not find your size please feel free to call us.